TotalPond’s 8 in. Waterfall Cascade is used to create a waterfall. Water fills the basin and then spills over the front edge to create the waterfall. Available at The Home Depot. TotalPond’s 8 in. 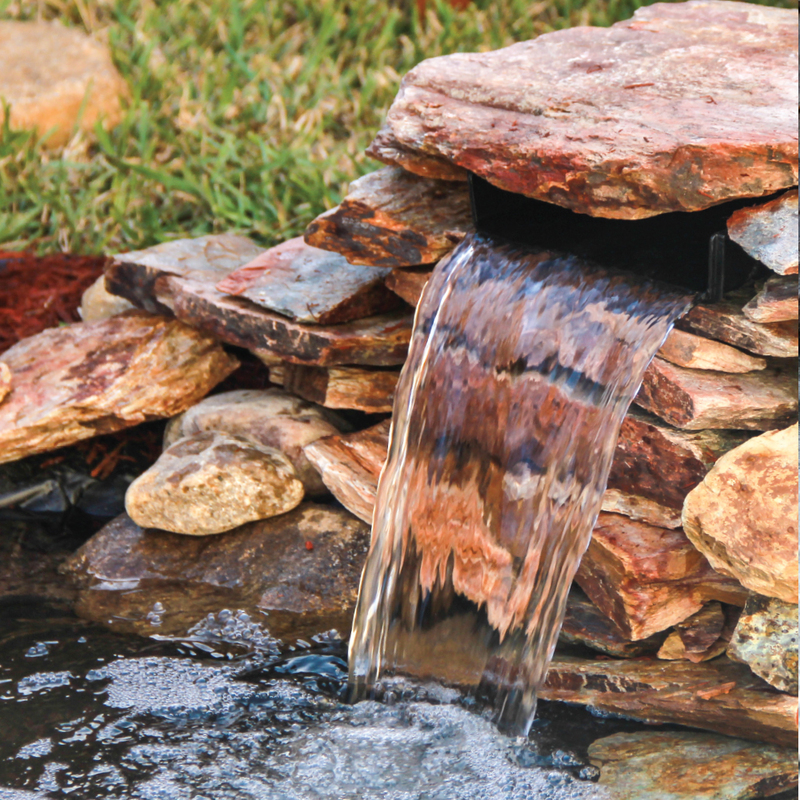 Waterfall Cascade is used to create a waterfall in your pond or backyard. It has connections on the back to receive tubing. Water fills the basin and then spills over the front edge to create the waterfall. This 8 in. spillway is made of durable UV resistant high impact plastic, is easy to install, and is maintenance free. The 8 in. Waterfall Cascade allows you to add a beautiful waterfall to any pond or create a disappearing water feature. The spillways is composed of durable, UV-resistant, and high-impact plastic. Dimensions: 10 x 8 x 8 in.